Sometimes relationships, like things, break beyond repair. 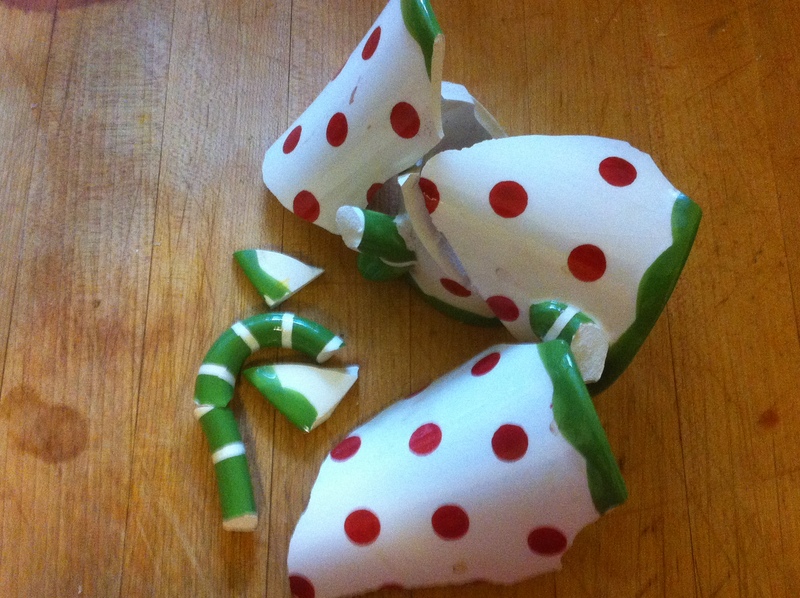 I asked for a sign, and a favored cup that I cherish and drink from daily slipped from my grasp and as if in slow motion, it fell, shattered and strew itself across the floor. My answer was simple. Yes, it is broken beyond repair. Sweep up the shards and toss them out with all the other refuse of living. Move on, find a new one. This life’s too brief to mourn what was, and miss what is yet to be. I’m moving on, looking forward not back. It was a sad realization, but a necessary step in my evolution. A shattered relationship, like the shattered cup needs be discarded. Like Humpty Dumpty, not all the kings men…, nor I, with any amount of glue or care, can put it back together again. Previous From my Gratitude Journal Next Did You Vote?